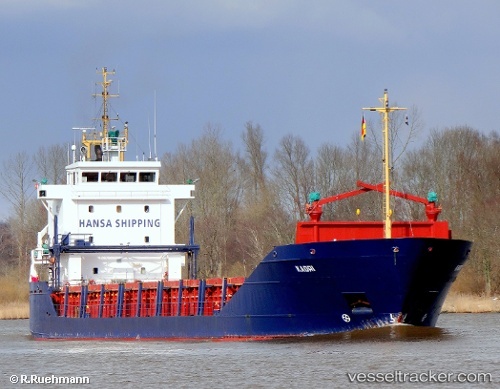 At around 0600 LT March 11 MRCC Riga received distress signal from general cargo vessel Kadri, requesting medical assistance to two Russian crew, who were badly injured in a rough weather. Vessel was some 8 miles of Irben Strait, en route from Tallinn to Liepaja in ballast. After consulting with doctors, it was decided to evacuate injured seamen. Helicopter from Air Force Base evacuated injured crew, on arrival medical team found one of the injured dead, another one was taken to hospital in Ventspils.